Gargantuan engines such as GE90-115B and Trent XWB develop more power than those used on the Titanic or the first manned space flight. Aerospace-technology.com lists five of the world’s most powerful commercial jet engines based on thrust. 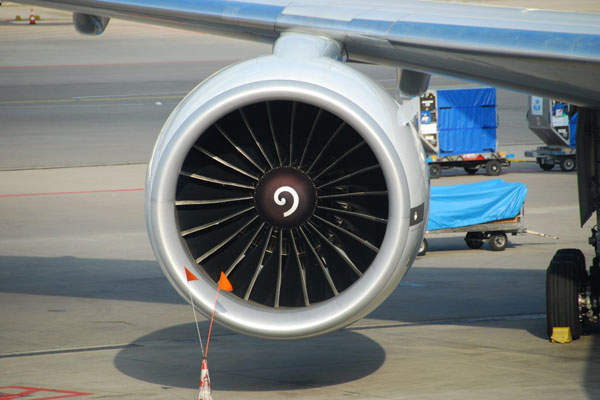 GE90-115B is the world’s most powerful commercial jet engine. Image courtesy of David Monniaux. 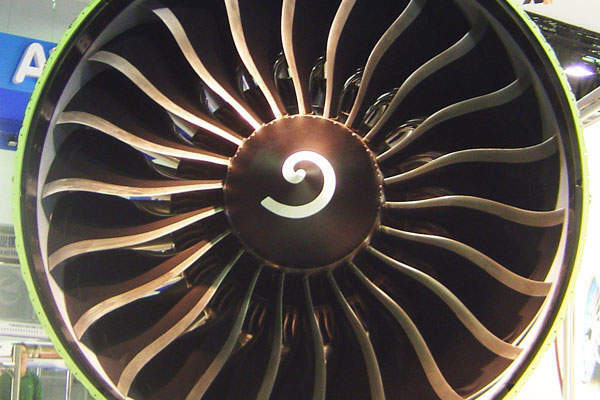 Trent XWB is the most powerful and the fastest-selling engine in Rolls-Royce Trent series. Image courtesy of Mitsubishi Heavy Industries, Ltd.
Rolls-Royce Trent 800 engine generates a maximum thrust of 95,000lb. Image courtesy of Selman Tabet. GE Aviation’s GE90-94B engine is based on the proven GE90 engine series. Image courtesy of Pieter van Marion. Pratt & Whitney’s PW4000 112-inch ultra-high-thrust engine develops a maximum thrust of 90,000lb. Image courtesy of Roei.tabak. GE90-115B, a high-thrust variant of GE90 from GE Aviation, generates up to 115,300lb thrust at sea level making it the world’s most powerful commercial jet engine. The GE90 was developed specifically for the Boeing 777 series and over 1,000 engines are in service with Boeing. The GE90-115B earned a place in the Guinness World Records book by generating a record thrust of 127,900lb at a GE test facility in Ohio in 2002. The GE90 programme involves the participation of Snecma of France, Avio Aero of Italy and IHI Corporation of Japan. The GE90-115B powers 777-200LR, 777-300ER and 777 Freighter aircraft. It is 135in in diameter and 287in long, and features aerodynamic design ensuring the blades to draw large amounts of air into the engine. The lighter blades minimise the weight of the engine, while also contributing to lower fuel burn. The Trent XWB produced by Rolls-Royce is the sixth generation engine of the Trent family and also the most powerful and the fastest-selling engine in the Trent series. It develops 75,000lb to 97,000lb of thrust and is regarded as one of the world’s most efficient large aero engines. The Trent XWB has accumulated over 11,000 hours of ground and flight testing. It powers the A350-800 and -900 (250-300 seat range) as well as the larger A350-1000 (350 seat range), the A350-900 freighter and the ultra long range A350-900R. It will also power the first Airbus A350 XWB due for début this year. The Trent XWB incorporates a unique lightweight three-shaft design. The compressor blisk technology used in the engine provides for 15% weight savings and high aerodynamic performance. The engine also features advanced fan system and improved internal air system for reduction of noise and fuel burn. Trent 800 from Rolls-Royce generates a thrust ranging from 75,000lb to 95,000lb and is the preferred engine choice for the 777 aircraft. More than 500 Trent 800 engines are in service aboard 220 aircraft. 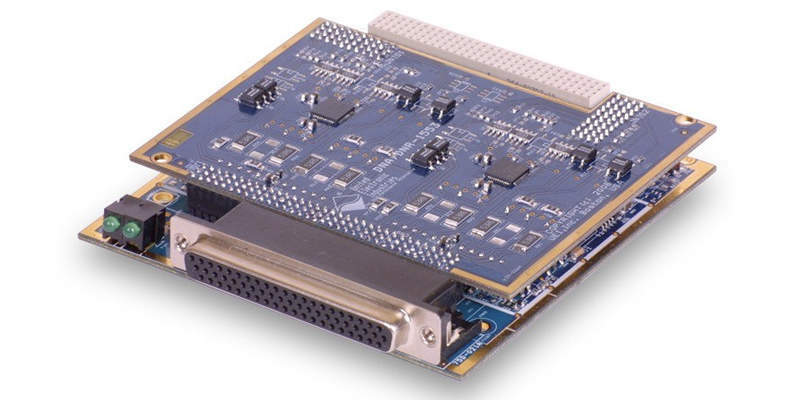 Developed from the experiences gained from Trent 700, the Trent 800 made its entry into the market in April 1996. 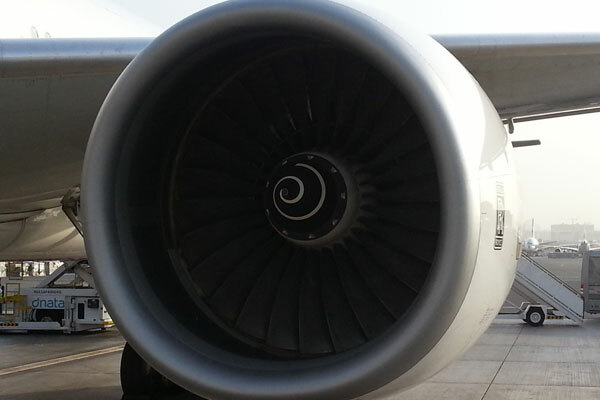 The fleet powered by Trent 800 engine accomplished over 21 million hours and four million cycles by December 2012. The three-shaft configuration of the Trent 800 integrates titanium wide-chord fan of 110 inch diameter, eight-stage Intermediate Pressure (IP) compressor, six-stage High Pressure (HP) compressor, single-stage HP and IP turbines, five-stage Low Pressure (LP) turbine and a single annular combustor with 24 fuel injectors. 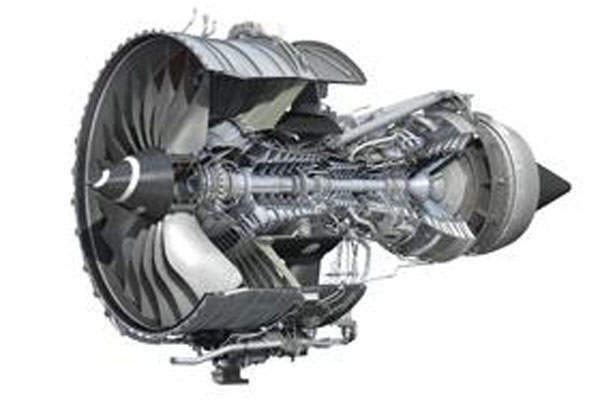 GE Aviation’s GE90-94B engine offers a maximum thrust rating of 93,700lb at sea level. 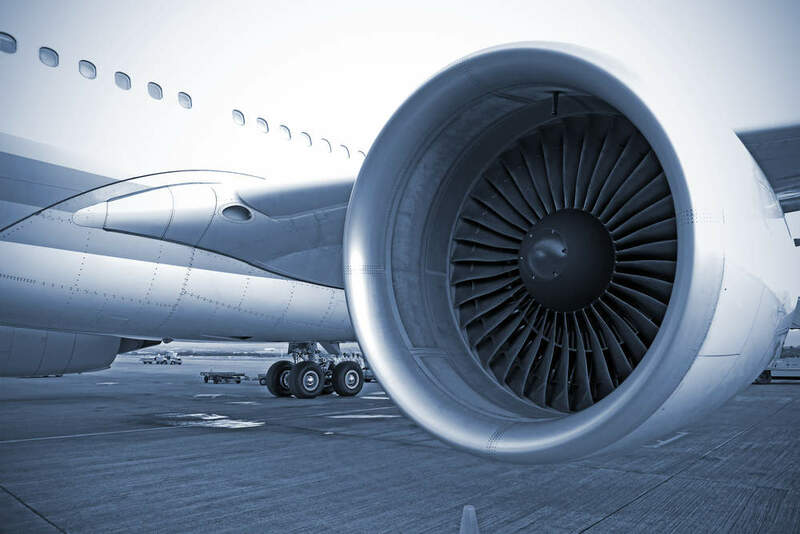 It leverages the proven GE90 engine series, which is the first to integrate carbon-fibre composite fan blade in the history of commercial aviation. The first GE90-94B entered service aboard Boeing 777 aircraft in late 2000. 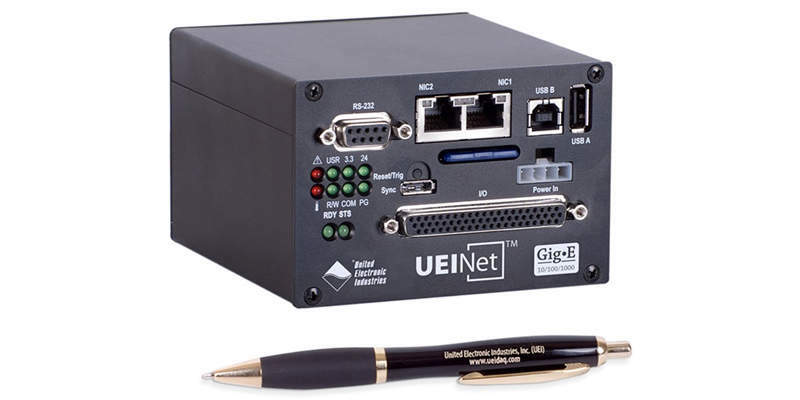 It powers the Boeing 777-200 ER (Extended Range) and 777-300 aircraft. The engine is made of carbon fibre and a hardened epoxy matrix. The GE90-94B has a diameter of 134in and length of 287in. It features three-dimensional aerodynamic high-pressure compressor, six-stage LP turbine and two-stage HP turbine, and offers higher take-off performance and lower fuel burn compared to its predecessors. 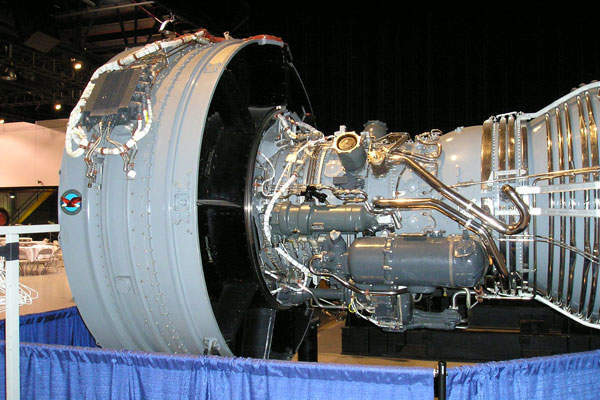 The PW4000 112 from Pratt & Whitney is a super-high-thrust engine developing thrust in the range of 74,000lb to 90,000lb. It is one of the preferred engines for the Boeing 777 aircraft and is the first engine to operate with approval for 207-minute Extended-range Twin-engine Operations (ETOPS). The PW4000-112 is the second variant of PW4000 engine family, and was introduced into service aboard United Airlines’ 777-200 aircraft in June 1995. Three models namely PW4074/74D/77/77D, 4084D/90/90-3 and PW4090/90-3 are available under the PW4000-112 range. 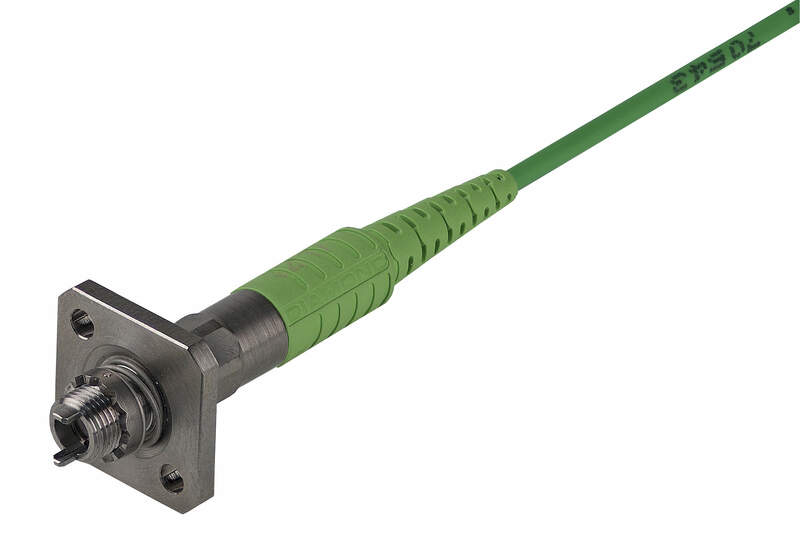 The PW4000 incorporates single-crystal super alloy components and powdered metal disks for superior performance and lastingness. The engine retains the modular components and easy accessibility of other PW4000 series engines for ensuring time and cost savings for operators.